Blasphemer v0.1.3 has been released. It also has a new, much more usable website, where you can find screenshots and downloads: https://code.google.com/p/blasphemer/ This new site should make it much easier to submit work. As always, contributions are valued. All textures and music are complete, but we still need many sprites, maps, and sounds. 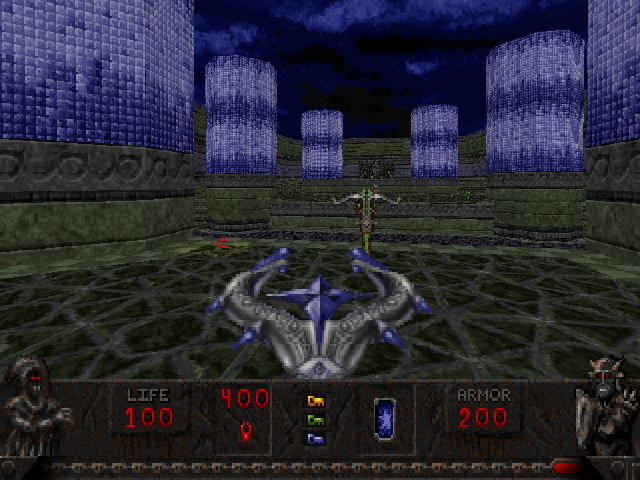 Most urgently needed are weapon HUD sprites and player sprites, which would make Blasphemer a fully-capable multiplayer game. Looks awesome. Anything new in progress?